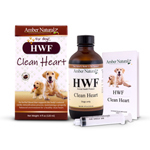 Natural Pet Health Care Products for Canine Parvo, Heartworm, Fleas, Worms, Coccidia, Giardia, & More! 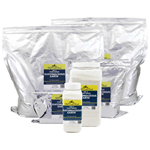 Keep your and your pet's immune system strong with 100% New Zealand Colostrum or Imutek Colostrum. Prevent colds and flu this Winter Season with a terrific natural antibiotic: Colloidal Silver, Vibactra Plus (for pets), or Viparabac Plus (for people), and/or Parvaid (people, pets, except cats), or Kitty Distempaid (for cats). Looking for the perfect gift? Give the gift of better health with a Basic Zapper or a Terminator Zapper. The natural health care products and remedies we carry are organic, safe, and extremely effective. Natural food grade diatomaceous earth and Flea Free for worms and fleas, organic herbal products that eliminate coccidia or giardia (Kocci Free), parvo virus (Parvaid), feline distemper (Kitty Distempaid), canine heartworm prevention and treatment (HeartWorm Free), and other diseases, along with organic products to help detox the body (Kidney Rejuvenator, Life Cell Support, Internal Gold Detox Kit, Food Grade Diatomaceous Earth), and boost the immune system with Imutek Colostrum 5, and more. Please feel free to E-Mail Us with any questions you have or call us (951) 674-0921. We are here to help and want the very best of health for you, your furry, feathered, & skinned animal friends and your gardens! If you prefer to pay with PayPal, please visit our PayPal friendly site. All orders ship within 24 business hours, Monday through Friday. Small items ship via USPS Priority or First Class Mail (2-5 business days) to U.S. addresses. For your overnight shipping needs, we ship via USPS Express Mail and Fed Ex Express Overnight service. Bulk weight items (50+ lbs.) ship via Fed Ex Ground (4-7 business days). Paxxin (formerly and Vibactra Plus are excellent natural organic herbal remedies that help prevent and treat parvo puppies. Paxxin is also useful for corona, e-coli, giardia, vomiting, and diarrhea. Paxxin has a 90% success rate dosed as a parvo preventative, 2-15 drops (based on puppy weight), 4x/day and Vibactra Plus twice/day for 5 days to help prevent puppies who have been exposed to canine parvo virus from coming down with parvo. 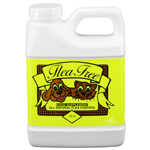 Everyone who has a puppy or dog should have Paxxin and Vibactra Plus on hand at all times. Buy Paxinrvaid and Vibactra Plus today! RX Vitamins for Pets Professional Veterinary Formula RX Biotic is a balanced probiotic and enzyme support supplement for dogs and cats. Vital pet health begins with healthy digestion. EvoraPet Oral Care Probiotics for complete oral care is the very first probiotic for oral care for all cats and dogs that freshens breath naturally while gently and naturally whitening teeth. 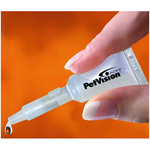 EvoraPet Oral Care probiotics are specifically formulated to address the oral care needs of our companion pets. EvoraPet freshens breath and cleans and whitens teeth naturally. Simply sprinkle on your pets' food once daily to give your pets' fresher breath and cleaner, whiter teeth.